Located in the Gulf of Valencia on Spain’s eastern coastline, the ancient city of Valencia (pop. 2 million) is blessed with a warm Mediterranean climate with balmy summer temperatures reaching as high as 32ºC and up to eight hours of sunshine per day. Modern Valencianas sprung up around an ancient walled city, and many historic buildings and part of the old wall remain to tell of its past. Properties in this area do sometimes come up for sale, even if at higher prices than elsewhere. By and large, though, Valencia boasts an interesting mix of architectural styles and constructions. 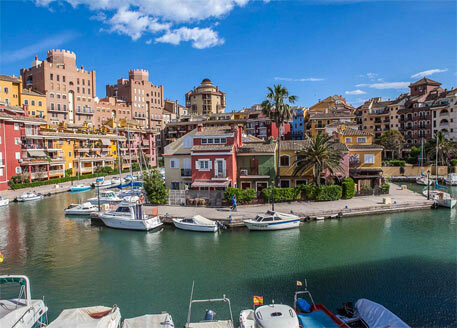 Valencia has changed since the days of Franco and besides the fabulous white sandy beaches to entice tourists; the city hosts events like Formula 1, held on a street circuit in the Marina area, and The Americas Cup. Additionally, Valencia has recently become a major player in the European industrial and commercial conference scene – both growth areas for jobs. These developments have led to increasing interest in investment buy-to-let property for sale in Valencia, with serviced apartments competing successfully with hotels in and around the city centre. There are no restrictions on foreigners buying property in Spain and potential investors who might be nervous about taking risks in the light of present economic conditions, should be encouraged by the Spanish government’s initiative in cutting VAT (Spanish IVA) from 8% to 4% on new properties until 31st December 2011. Residential properties for sale downtown are generally expensive but the recent fall in property prices in Spain has left room for negotiation. The realities of the market today make buying in the cities a better option in terms of price and capital growth. Older properties with potential for renovation are still reasonable and available, and a search of areas a little further out will yield properties for sale at lower prices with coastal views. Good road, rail and air links connect Valencia with other Spanish and European cities. Valencia International Airport lies some ten minutes (8km) from, and is connected to, the city centre by a range of regular transport options. Within the city there is a choice of bus, taxi, train or Metro. Valencia’s University caters to some 60,000 students and the area around the four university campuses is vibrant and modern with high rise apartments, restaurants, bars and night clubs – a good place to capitalise on rental income. In Valencia, English is widely spoken, and newcomers will find first class banking and communications systems in place.